Our website has a very limited budget space, we would like a webmaster to help us update in English. Our knowledge of English is limited as we are a South American country. Dental health and general health is difficult for children with limited resources. If there are doctors who wish to visit areas and provide support in Peru, they are welcome. People who help us raise funds for literacy materials for children because the school dropout rate is very high in these areas. The summer season as they lack recreational opportunities. We hope to provide opportunities for visits to zoos, beaches and museums. The winter season, because the mountain areas suffer from freezing and food shortages. The Christmas season, because they do not enjoy a good dinner or a small gift. It can be scheduled visits or help us from your area to spread our work to benefit the children. Or through the web from the place of origin to the monthly update of our website. It will be a blessing. We can accommodate them in stateroom beds in homes of people who support us, churches or the office. Food is breakfast, lunch and dinner with local foods based on chicken, meat, fish, rice, vegetables and mints. Soup of vegetables of entrance. Jiron La Confraternidad 490 Urb. Pro, Los Olivos, Lima Perú., Lima, Peru. Religious freedom has been adopted by local citizens, with the Catholic Church holding the most influence in the culture. More than 7 million children ages 0-11 live in a variety of situations that last the gospel of Jesus Christ. Evangelical Christians in Peru have experienced remarkable growth, but there is still much room for progress. These children need a different kind of life because they are denied education, health and love, and are exploited with jobs without pay, sexually abused and exposed to vices that destroy their future life in rural areas . 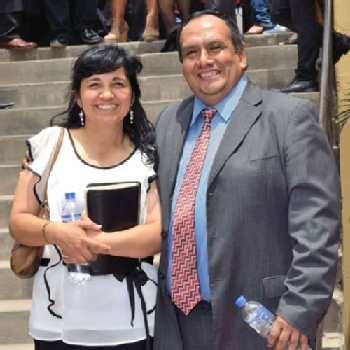 We at Ministerio Para Cada Generación Perú would love to hear from you!